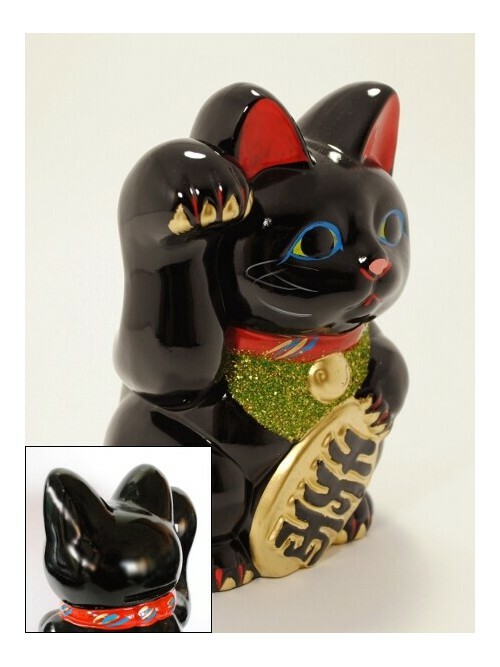 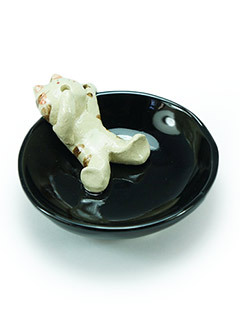 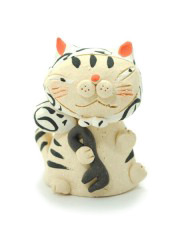 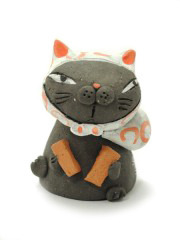 Made of ceramics, here is a black version of the Koban Migite Maneki Neko. 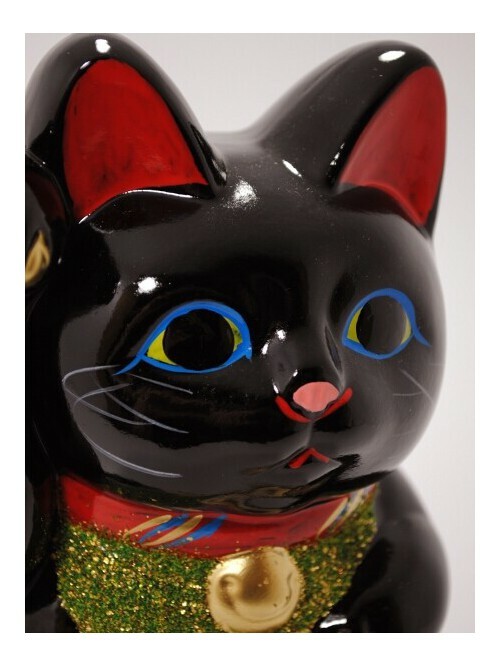 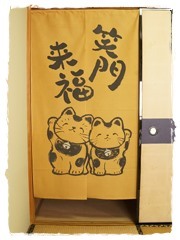 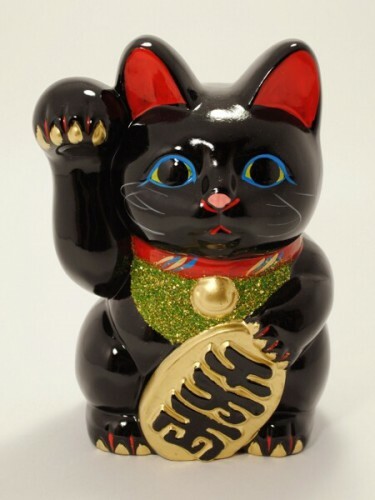 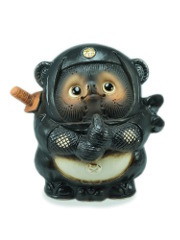 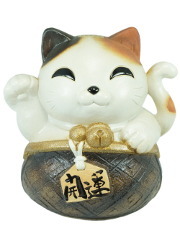 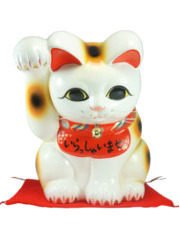 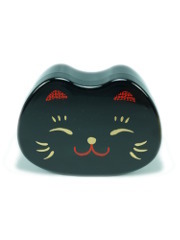 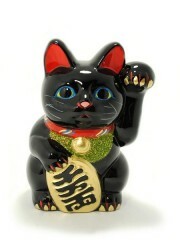 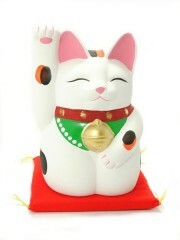 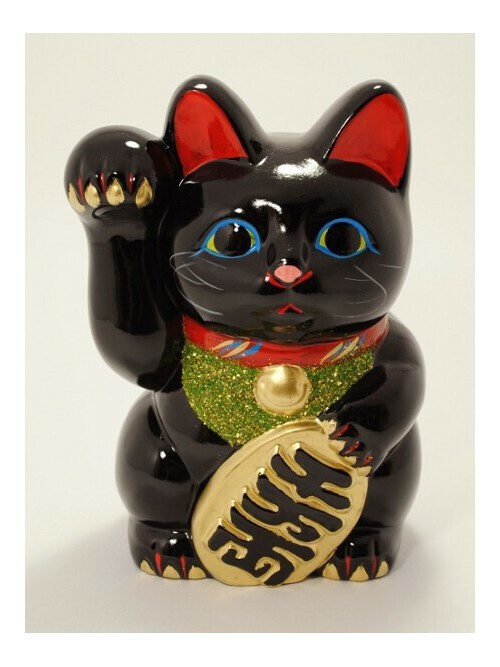 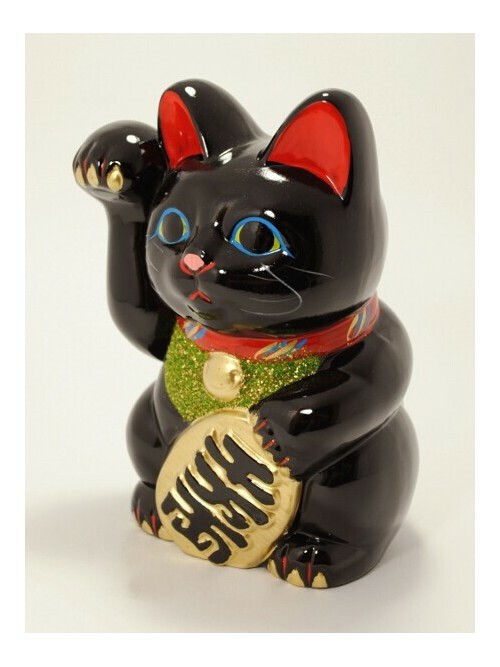 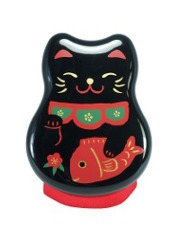 A black Maneki Neko is believed to bring a healthy life and fight off bad spirits. 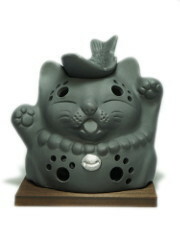 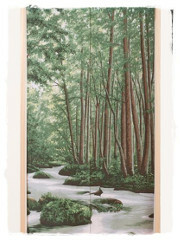 Anyone looking for originality will enjoy this beautiful model. 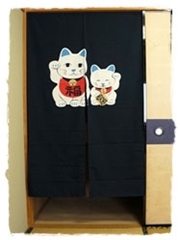 Magnifique, fabrication maison parfaite, vraiment ravis. 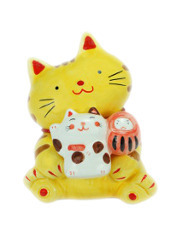 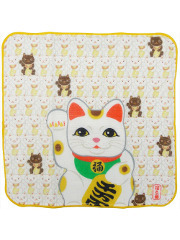 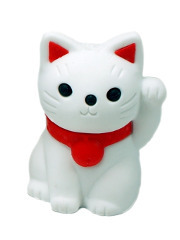 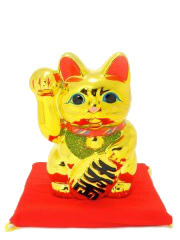 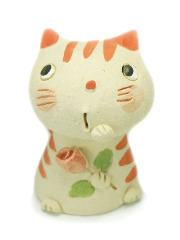 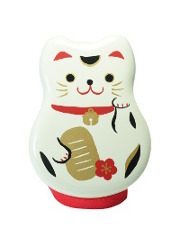 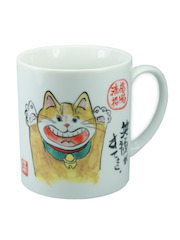 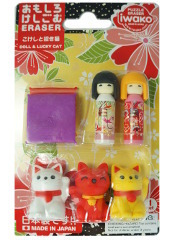 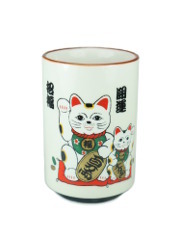 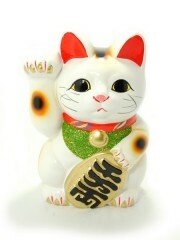 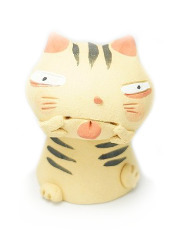 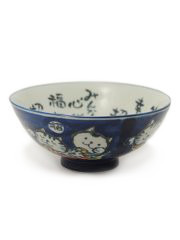 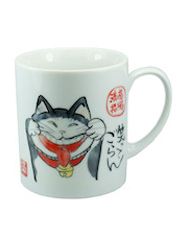 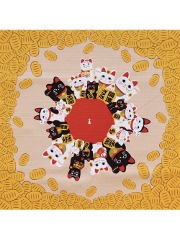 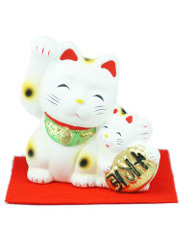 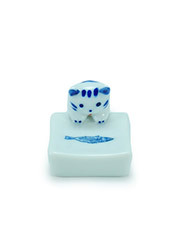 I am appreciated to get Lucky Cat from Tokyo Smart , nice quality with fine finished hand paint . 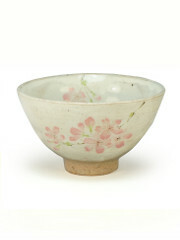 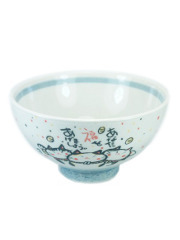 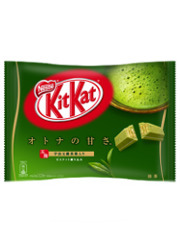 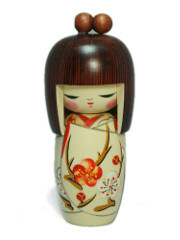 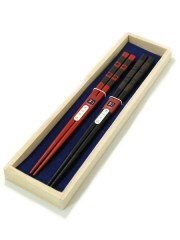 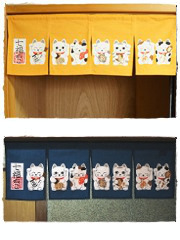 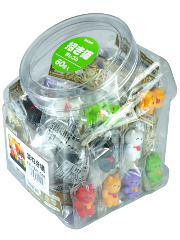 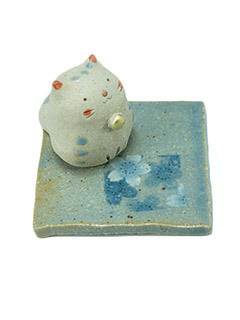 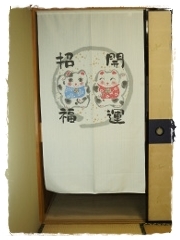 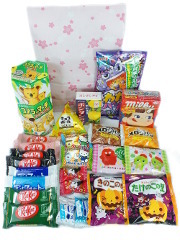 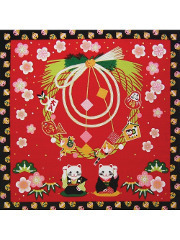 Recommend to customer want to collect Japanese Craft .